Whether as a dining chair or an accent chair, this handcrafted chair will add elegance and sophistication to your home décor. 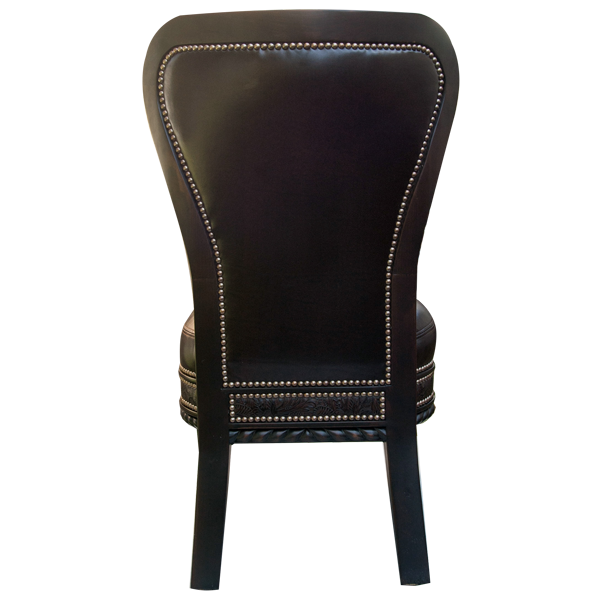 The padded seat back of this custom chair is wide at its top and curves beautifully as it connects to the base of the seat. 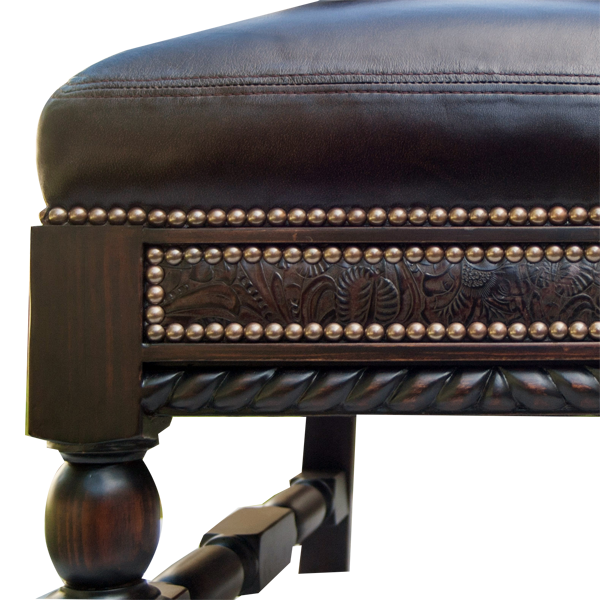 The base of the seat is adorned on each side with hand carved, scalloped designs, and with brown, embossed, leather trim, hand tacked with decorative nails. The chair is supported by straight, hand turned front legs, and simple, slightly splayed back legs. The legs are joined by hand turned crossbars on two sides of the chair. 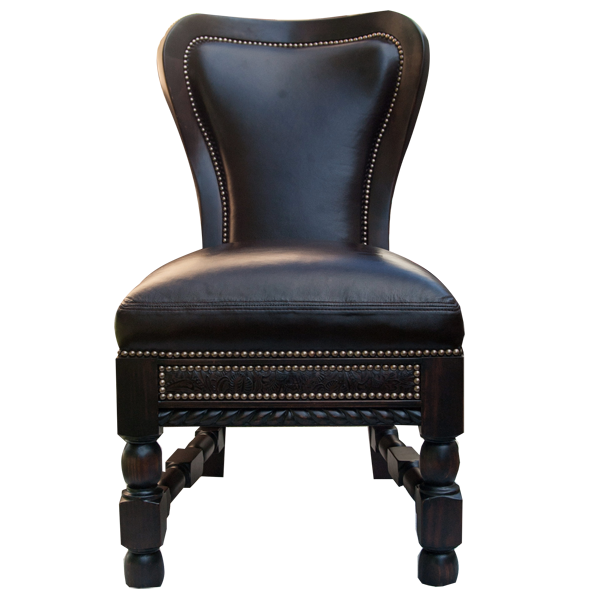 The padded seat and both sides of the seat back are upholstered with rich, brown full grain leather. 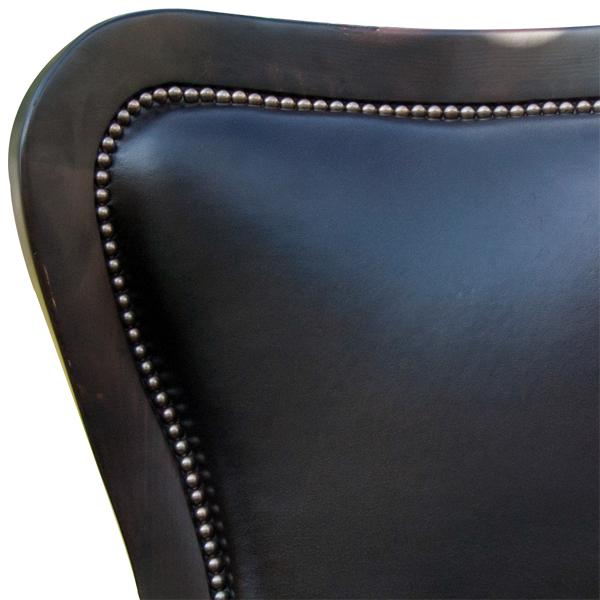 The leather upholstery is precision hand tacked to the wood frame with ornate, decorative nails. The chair is made with the best, sustainable wood available, and it is 100% customizable.